From birthday parties to corporate outings, All Fired Up is fully equipped to accommodate parties both big and small. It’s the perfect spot to engage with others in a fun, relaxed atmosphere. Plus, we have a variety of projects that can fit any budget. Give us a call… we’d love to host your next gathering at All Fired Up. 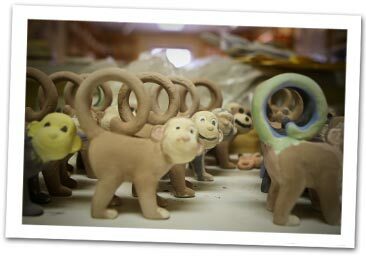 Help your Girl or Boy Scout earn their Ceramics Badge by holding your next meeting, party or fun outing at All Fired Up! Enrich your homeschooler’s educational experience with a private or semi-private art lesson at All Fired Up. Get to know your co-workers in a playful, relaxed setting by scheduling your next team-building event at All Fired Up!